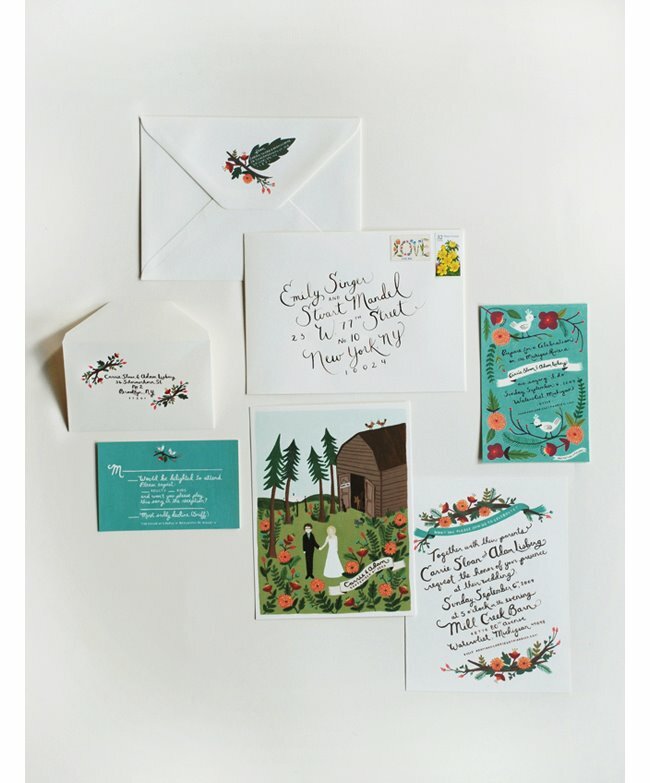 I love the look of this sweet little invitation set designed by Rifle. Plus, it's for a wedding in my state, right along the Michigan Riviera. See more of it here. So pretty! I wish I could draw like her. I find it so inspiring!